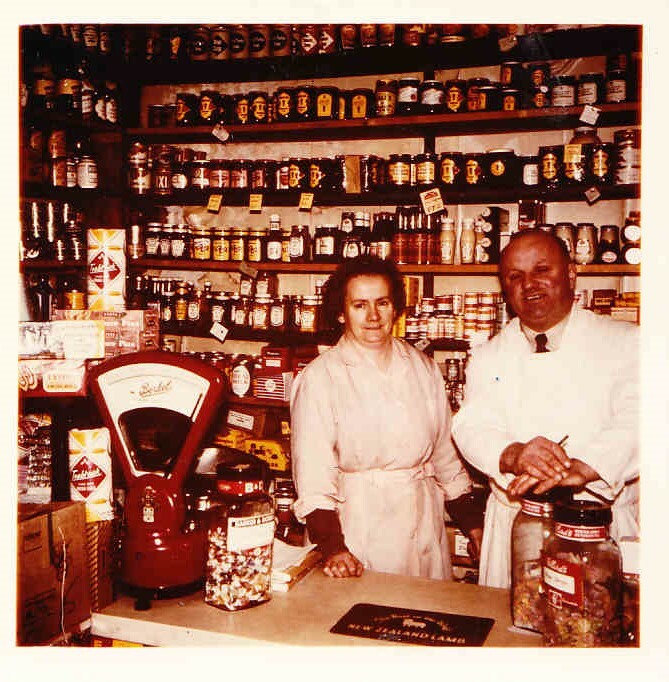 Bill and Hetty Ryder ran a village store at the bottom of Radway Hill in Bishopsteignton. The store comprised of a butchery on the right hand side of the premises and a general grocery store on the left. Mr Ryder ran the butcher’s side of the business and Mrs Ryder was usually in charge of the grocery. 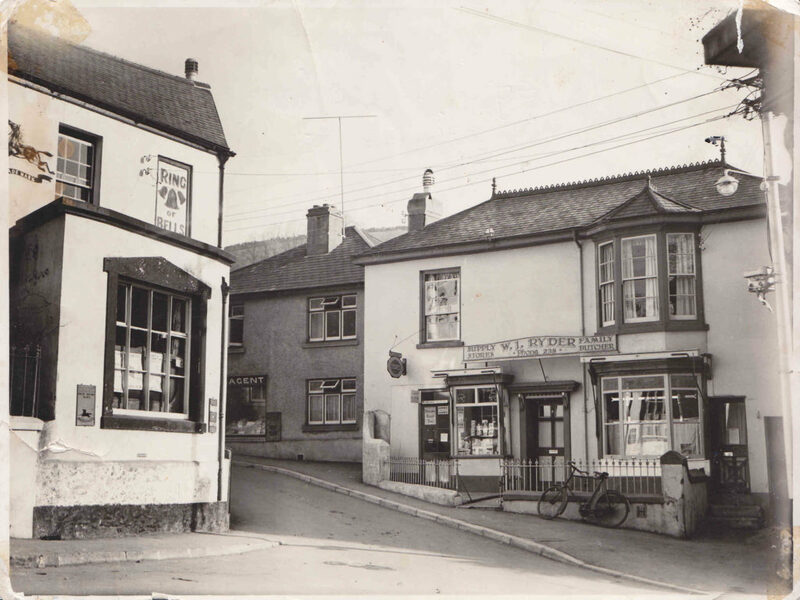 The couple were married in Newton Abbot in 1935, caught the bus to Bishopsteignton and went straight into their shop. During the Second World War, Mr Ryder served overseas in Burma and the business was ably run by Mrs Ryder in his absence. 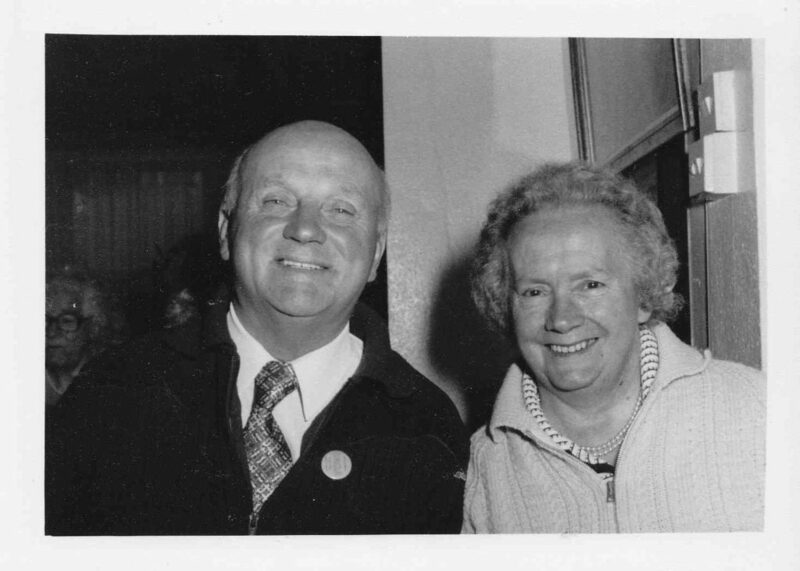 Not only did she have to deal with the additional pressures brought on by the war and rationing, she also had to travel to the market in Newton Abbot to collect the meat before she could sell it – all this on top of having to look after their young daughter Jean! The Grocery side was very popular with many of our older residents who were young children at the time. They clearly remember calling in to spend their pocket money on sweets on their way home from school. The school was a matter of yards away in the current Community Centre. Daughters Jean and Pat regularly helped their mother serve in the shop. Mr and Mrs Ryder traded in these premises until the late 1960s when they retired. The building was later used as a launderette in the 1970s. Do you have any other information on Ryder’s Supply Store? If you would like to subscribe and leave a comment, please see the link below.